Franklin Schuling completed his PhD in Bio-physics in 1988, joining Philips Research in 1989 as a computer graphics expert, then joined Philips Medical Systems in August 1995, heading the XRAY Predevelopment group until August 2002. From September 2002 until August 2006 Franklin was the lead for the Technology Strategy Council, responsible for the formulation and execution of Philips' Healthcare Technology Strategy. During this period, Franklin was also the director of the Image Processing R&D Lab. in Paris. In August 2006 Franklin joined Philips Research again to become New Business Developer for the Healthcare and Wellness Research program. In January 2007, he became Sector Head for the Molecular Medicine Research program. From July 2009 to August 2014 Franklin was General Manager of Philips Research North America and was Innovation Area Manager for Clinical Decision Support and Patient Care. From August 2012 until January 31st 2017, Franklin was Innovation Program Manager for Philips Research’ investments in Hospital2Home, Patient Care, Home and Personal Health, Healthcare Transformation Services. He returned to the Netherlands September 1st 2014. Per February 1st 2017 Franklin is Innovation Program Manager for Connected Care and Personal Health, at Philips Research. In deze presentatie zal de spreker de visie van Philips presenteren met betrekking tot integrale oplossingen voor de gezondheidszorg en hoe "Connected Care" over het continuum van zorg ons zal helpen om de uitdagingen in de gezondheidszorg in Europa aan te pakken. Na een kort overzicht van de evolutie van Kunstmatige Intelligentie zal de spreker de Healthcare index presenteren, die een samenvatting geeft van de mate van gereedheid voor de transitie in de zorg, gebaseerd op interviews met 28.000 patienten, HC Professionals, verzekereringspartijen, public policy makers. Vervolgens gaat het over de rol van data om de zorg menselijker en individueler te maken. Daartoe worden drie voorbeelden gebruikt, te weten acute care, populatie gezondheid, en ouderenzorg. De voordracht eindigt met aanbevelingen voor ziekenhuizen en hun netwerken gericht op verbeteren van de kwaliteit van zorg, en de noodzaak om de oorzaken van mindere kwaliteit op te sporen. Philips heeft daartoe een co-creatie methode ontwikkeld samen met partners om inzichten en oplossingen te ontwikkelen voor operationele planning, risico inschatting en verbetering van de prestaties. 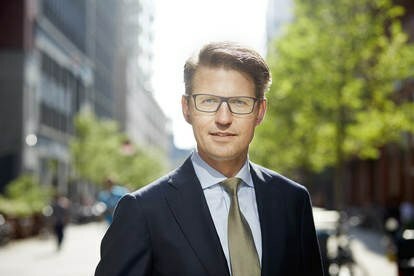 Chief Information Officer ING Bank Netherlands at ING, Amsterdam (NL). Board member of ING Netherlands and Manager of a 1500+ FTE organization responsible for all IT within ING Netherlands. 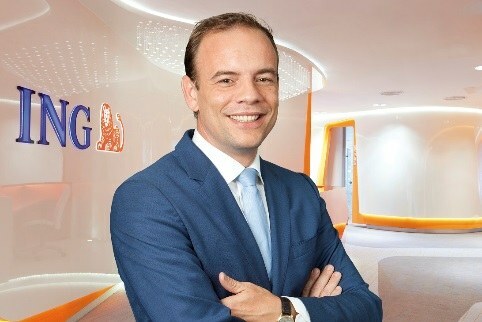 Director Application Management ING Bank Netherlands at ING, Amsterdam (NL). Manager of a 500+ FTE organization responsible for all application management activities. Scope includes customer data, lending, mortgages, payments, savings, branches, call centers, internet and ING mobile banking. Associate Partner at McKinsey&Company, Amsterdam (NL). Elected as ‘partner-in-training’. Activities include managing multiple McKinsey teams simultaneously, developing clients through ongoing discussions on their strategic challenges and building knowledge within McKinsey’s Global Operations Practice. Focused primarily on operational transformations and strategy in financial industry. Associate, Engagement Manager at McKinsey&Company, Amsterdam (NL). Responsible for management of McKinsey projects on the ground and as such leading clients on a fulltime basis through the change process. Activities include project planning, delivery and presentation of findings, stakeholder management and coaching and evaluation of consultants on the team.